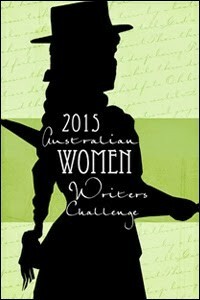 To be perfectly honest, if it wasn’t for the Australian Women Writers Challenge, I would have stopped reading after the first 30 pages. It is not only that I am not a big fan of noir, although that didn’t help. The main characters are depressed and hopeless. Their world – London in a particularly cold winter, in the depths of the GFC – is bleak. Doom seems to be nigh. I know it’s all part of the genre, but it just doesn’t do that much for me. What really made it difficult for me to keep reading were the hackneyed writing, the overuse of cliches and the heavy reliance on coincidences. All of that made the book seem to be a pastiche – not a satire, but some kind of take-off of a genre I don’t even like in the first place. Add to that the fact that it barely passes the Bechdel test (the main character has perhaps two “on stage” conversations with other women, neither is really about a man but they are both very short conversations – and while she reflects on conversations she had with the first murder victim, those conversations were about a man), and the general dearth of women in this world, and you have a recipe for significant frustration as far as I am concerned. All of that said, I did get into the story after about 80 pages and did not pick a couple of the main twists at the end. So the main take-away is really: if you like noir, you will almost certainly enjoy this book more than I did.